Pride of ownership shows throughout this immaculate one-story in highly desired Crystal Falls! Walk to schools, pool & water park. Quality & attention to detail abound w/tasteful upgrades including fresh paint & recently-installed carpet & backsplash. Plenty of room to entertain featuring an open floor plan w/hand-scraped wood floors, inviting foyer, island kitchen w/stainless steel appliances, formal dining, study, secluded master suite & a fantastic outdoor living w/ private garden, patio nook & gazebo. 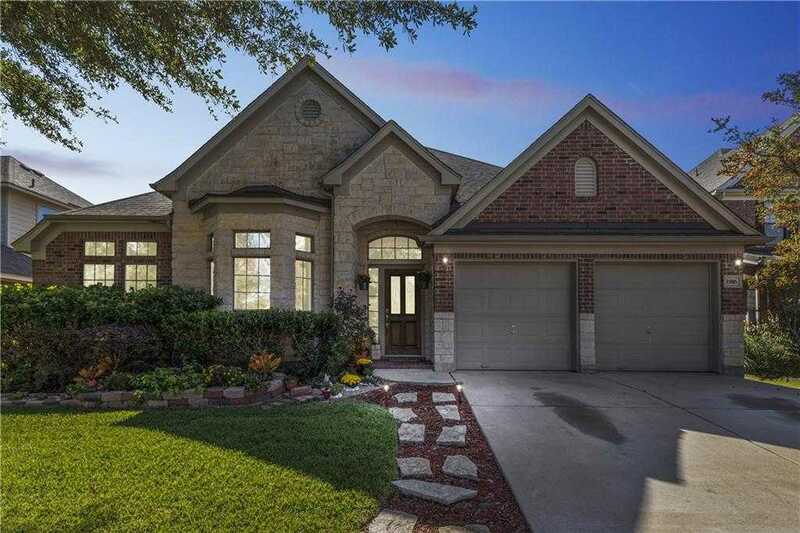 I would like to schedule a private showing for this property: MLS# 9973837 – $350,000 – 1916 Misty Ridge Dr, Leander, TX 78641.